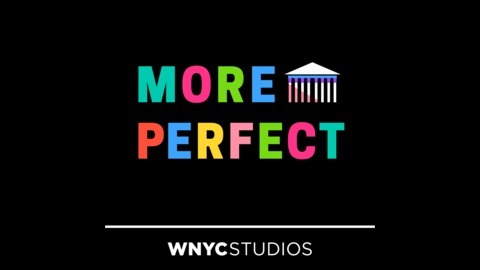 This season, More Perfect is taking its camera lens off the Supreme Court and zooming in on the words of the people: the 27 amendments that We The People have made to our Constitution. We're taking on these 27 amendments both in song and in story. This episode is best listened to alongside 27: The Most Perfect Album, an entire album (an ALBUM!) and digital experience of original music and art inspired by the 27 Amendments. Think of these episodes as the audio liner notes. 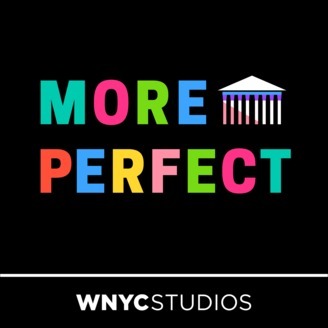 In More Perfect's final episode of the season, listen to liner notes for two amendments that contemplate the still-unfinished status of our Constitution. "27" is an album that marks a particular point in our history: this moment when we have 27 Amendments to our Constitution. What will be the 28th? Maybe it will address our nation's capital. The capital has been a bit of a Constitutional anomaly for much of our nation's history — it's at the heart of the democracy, but because it's not a state, people in Washington D.C. have been disenfranchised almost by accident. The 23rd Amendment solved some of the problem — it gave D.C. the right to vote for president. But it left much of D.C.'s representation questions unanswered. D.C. still does not have voting representation in Congress. Instead, D.C. sends a "non-voting delegate" to Congress. For this liner note, More Perfect profiles that delegate, Congresswoman Eleanor Holmes Norton, and her unique approach to fighting for power in a virtually powerless role. The song for the 23rd Amendment is by The Mellow Tones, a group of students from D.C. high school Duke Ellington School of the Arts, along with their teacher Mark G. Meadows. The chorus, "Why won't you count on me?" reflects on the continued disenfranchisement of our nation's capital. The final amendment of the album, the 27th Amendment, put limits on Senators' ability to give themselves a pay raise, and it has arguably the most unusual path to ratification of all 27. The first draft for the amendment was written by none other than James Madison in 1789, but back then, it didn't get enough votes from the states for ratification. It wasn't until a college student named Gregory Watson awakened the dormant amendment centuries later that it was finally ratified. The 27th Amendment song is by Kevin Devine and tells Watson's story.